My name is Marcus - I’m a freelance motion designer based in London. How did you get started in motion design, what is your background? I was introduced to After Effects & Cinema 4D while on my Graphic Design course at the University of Falmouth. 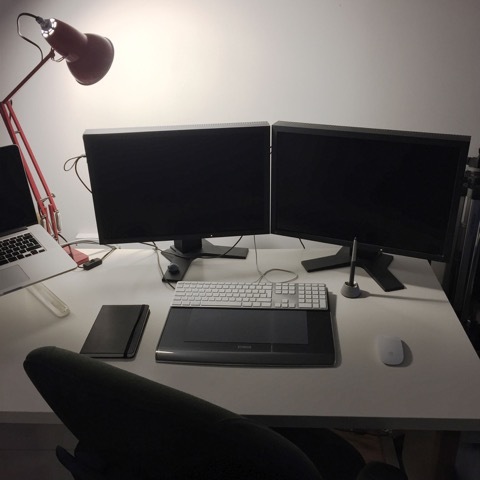 When I graduated in 2007 I moved up to London and got a job at a company called glue London, where I used After effects and Flash to work on interactive film for banners and websites. I studied at the University of Falmouth in Cornwall on their BA Hons Graphic Design course. It was great to learn the fundamentals of design while having to learn the software on my own. Would absolutely recommend this path as it distanced yourself from specific programs and made you think about the design process alone, I think there were a lot fewer resources back then than there are now so being able to pick up and learn the software has never been more accessible. Going freelance nearly three years ago was the best thing I could’ve done. After being full time for over 5 years I had always worked on lots of different jobs, requiring a broad skill set, ranging from VFX to Actionscript to build banners in Flash. Going freelance meant I could focus on what I really enjoyed which was more geared towards motion design. An added bonus to going freelance was being able to meet so many talented and nice people while working onsite in different studios. I mostly work onsite, with the occasional gig working from home. The desk I use at home is in-between my kitchen and living room, so it’s not really the ideal workspace, but I make the best of it, and try to go for a lunchtime walk. Where are your favourite places in London or outside? Blackheath common & Greenwich. When I’m out of the city, Gray Hill in Monmouthshire close to where I grew up in South Wales. As most of the fantastic work out there at the moment is a collective effort, some of studios that I think are really at the cutting edge of creative and production in motion are Blur, The Mill, Buck, Zeitguised, Art & Graft, Golden Wolf, MvsM - there are absolutely tons more fantastic studios out there.